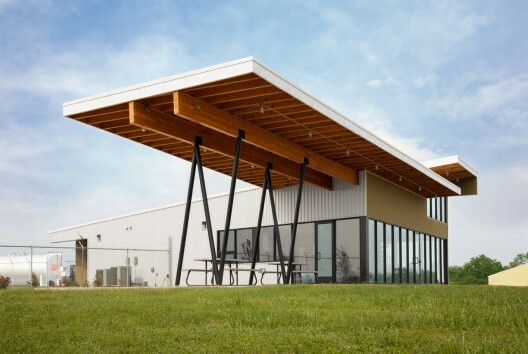 The Carroll County Airport Terminal is an architectural machine inspiring the adventure of flight while lightly landing as a proud artifact that eagerly engagesa growing population of pilots and visitors at this rural Arkansas airport. Conceptually derived from the memory of a World War 2 F4U Corsair airplane, the terminal building is a lens, capturing and projecting pilots to the landing area of the runway. 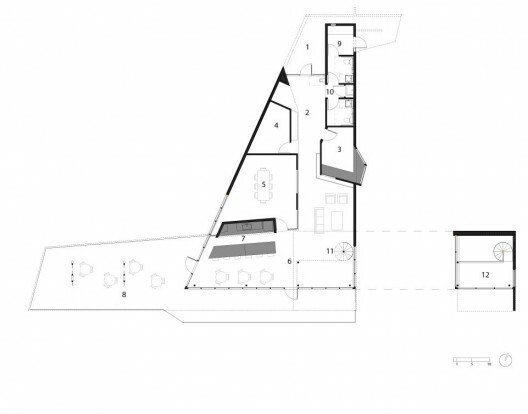 The building seeks to take flight while sheltering exterior spaces under its provocative wing-like forms. 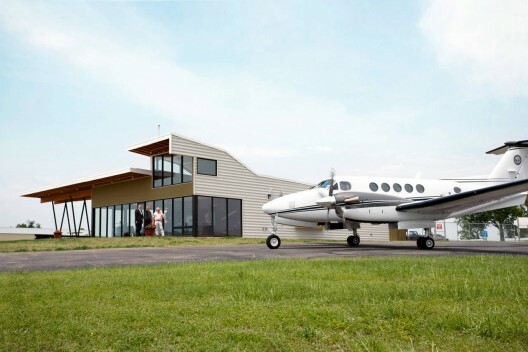 The Carroll County Airport Terminal is an architectural machine inspiring the adventure of flight while lightly landing as a proud artifact that eagerly engages a growing population of pilots and visitors at this rural Arkansas airport. Conceptually derived from the memory of a World War 2 F4U Corsair airplane, the terminal building is a lens, capturing and projecting pilots to the landing area of the runway. The building seeks to take flight while sheltering exterior spaces under its provocative wing-like forms. 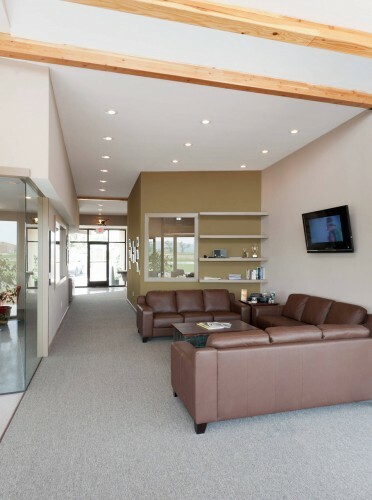 Simple materials of metal panel, glass, and cement fiberboard are carefully articulated as lightweight skins that capture form and flood spaces with natural light. The wedge form provides compression at the public entry on the north, and release towards the runway to the south, welcoming planes as they land. From the sky, the building is a beacon, a parked artifact, and a form familiar to visiting pilots. The observation deck, or vulture's row, is a unique loft providing prime views to the approach end of the runway…a vantage from which pilots critique the skills of others as they make their landing on the windy hilltop.